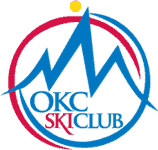 Mark your calendar and don’t miss the first general meeting for the OKC Ski Club 2018-19 Ski Season. You are invited to our annual “Oktoberfest” Celebration. Join us for beer and brats, provided by the ski club. Come hang out to see what all we have in store for this season and meet some great folks. You don’t need to be a member to attend.